A range of tallboy units with 4, 5 or 6 drawers. 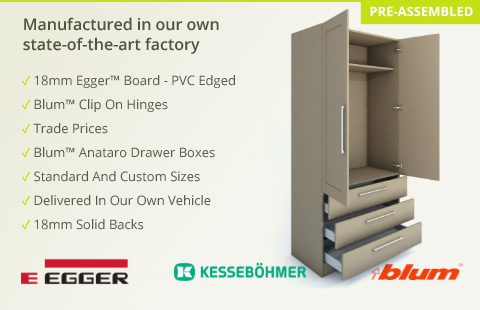 These quality bedroom units are manufactured from 18mm Egger board and are supplied with high quality Blum Tandembox soft close drawer boxes and runners as standard. Drawer fronts are not included and these can be purchased from our bedroom doors section.